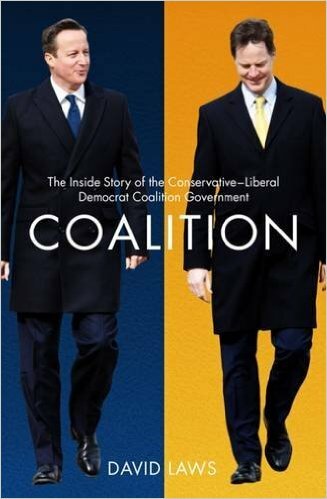 By a genuine coincidence, I ended up reading David Laws' inside account of the five years of Conservative/Liberal Democrat coalition in the UK immediately after reading the book form of Yes Minister and Yes Prime Minister - still hilarious after all these years. I think two things are particularly fascinating. One is to get a better feel for the characters, many of them still in the Conservative government, as people. We get to used to treating politicians as if they were Spitting Image puppets, simply voicing their extreme views and then being put back in the cupboard, resulting in the kind of extremely negative personal comments made to no one's advantage during the recent EU referendum. Here we see people like David Cameron, George Osborne, Michael Gove and Theresa May more as actual people - we see much rounder personalities: if they're funny, how conservative they and, interestingly, how socially liberal some of them are. Perhaps most fascinating of these are Cameron - who comes across sometimes worryingly like Jim Hacker in Yes Prime Minister - Osborne, displaying a surprisingly human side and Gove - who comes across as both likeable and downright weird, prone to distinctly odd behaviour. Obviously, given turns of events since, it is also fascinating to see the trajectory with which many of the key players went into the EU referendum (which was obviously after the book was written, though thoughts about it coming in the future are often referenced). The other thing that is interesting is, if we believe Laws, how much they all genuinely put a huge amount off effort into keeping a workable coalition going, and achieved a fair number of positive things between 2010 and 2015. There is also a sad inside view of the pretty much total destruction of the Liberal Democrat party as a result, in part, of the electorate simply not understanding how much they had contributed to the coalition. Of course, this is one person's view - but Laws seems to have been well-placed to give it and it shows us everything from the workings of the senior civil service (capable of the odd Sir Humphrey moment, despite mostly coming across as very efficient) through to the practicalities of government most of us never get to see. Recommended. Coalition is available from amazon.co.uk and amazon.com.